If you haven't seen it yet, be sure and check out the new monthly challenge from Our Daily Bread! 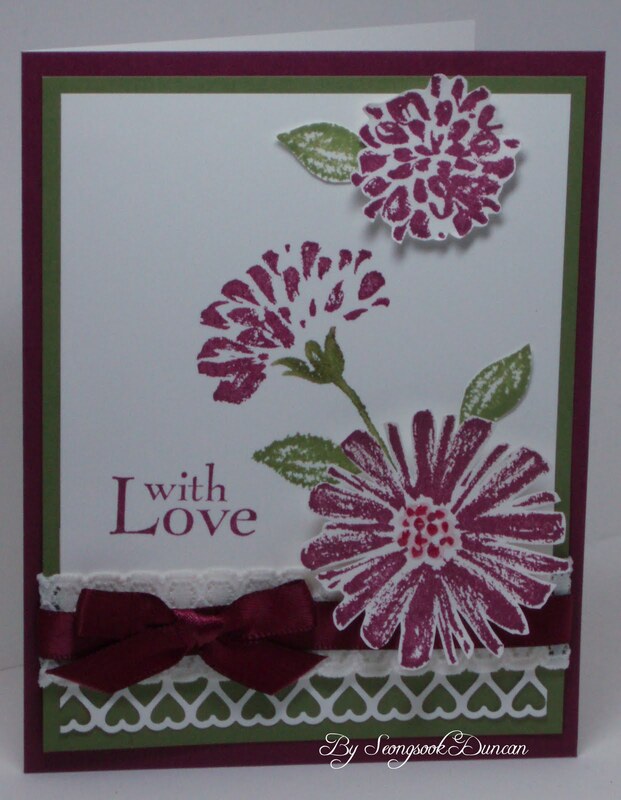 This month it is love cards. 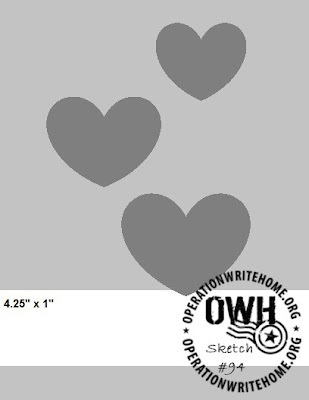 Maybe you can use this sketch to create a beautiful love card for one of our heroes to send home! Quick reminders: all our OWH sketches are designed for our preferred card size of 5.5" x 4.25" (A2 size) and the heart symbol on the sketch indicates the embellishment of your choice, it doesn't have to be a heart. Our samples for this sketch were made by the awesome Seongsook! I'm sure you've seen her name before in our bloghops, other challenges, and on our Facebook page. She also has a blog called Seongsook's Creations. Be sure and stop by to see more of her work and say hello. Thank you for the beautiful sample cards, Seongsook! Wow!! I love the wonderful inspiration provide by Seongsook! 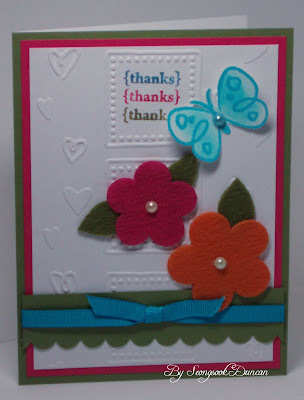 Her cards are always AWESOME!! Another fun sketch and I hope to work on my card shortly!! Yes...I loved the extra hour of sleep, but I know I won't LOVE it being dark at 4:30 this afternoon. I'm a Summer girl, who does not LOVE winter!! I hope it flies BY!! 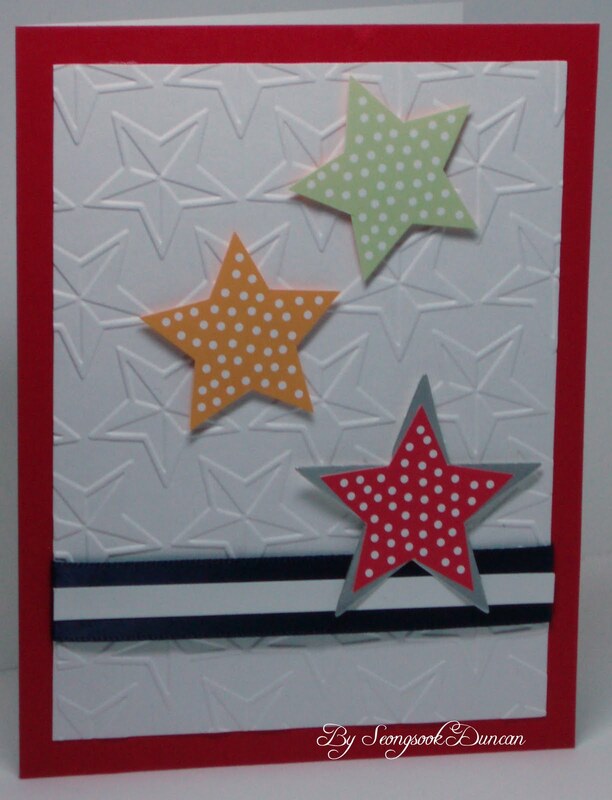 Happy Sunday and Happy Crafting!! 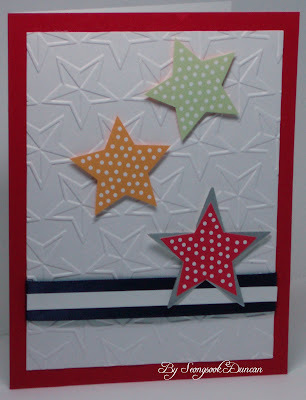 I have created a new card to share, based on the Sketch, but I can't seem to find the Inlinkz area to add it? PS: I'm also looking for ideas, as I'm not loving my card and want some help and suggestions!! Lisa the date had been set wrong on the Inlinkz - works n ow! Having the extra time was a plus and I'm much happier with the updated version! Great sketch. The samples are wonderful, Seongsook. 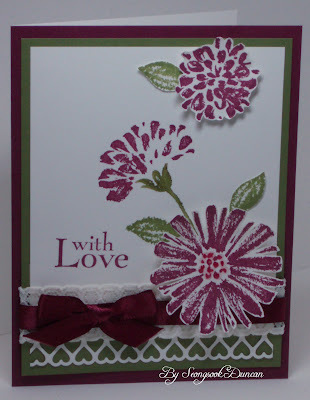 I especially like the flower sample and what you did with the 1" band.